JZ Microphones was established in 2007 in Riga by educated jeweller Juris Zarins. After 20 years of repairing Neumann, AKG and Telefunken microphones, and participating in Blue and Violet microphone manufacturing, he started to produce his own line of microphones JZ Microphones. The ‘JZ’ in the name stands for Juris Zarins, chairman of the board and lead designer. The idea of JZ Microphones was to combine knowledge about recognized and well known microphones with innovations and original design solutions. There are always two things you should think about when you are thinking about launching new mics – design and functioning. The first part is the easiest because there are no borders when you are thinking about design, you can draw whatever you want for microphone, but the most difficult issue is to combine it with functioning and make it good sounding. As there are plenty of microphones in the marketplace today, it is very important to choose the right model for new product launching. It’s all even more complicated now because there is soft economy around and people are very choosy in the pro audio industry. If somebody has decided to purchase a microphone for his home studio, it is usually a huge work of research, evolution and comparison until the customer goes ahead to purchase. We are not speaking about cheap Chinese stuff but about respectable and high quality gear. We all know that the main thing about the microphone is sound quality and the most important thing about sound quality is the capsule. Still we should not leave behind and forget design – how the microphone looks. It is not only the looks which we find attractive for our products but also the meaning of design. Design plays a significant role in an overall microphone performance as well and can influence the sound performance of the microphone. These microphones have a distinct rectangular shape with a rectangular hole in the middle for two reasons. First – once sound travels toward the microphone from, for example acoustic guitar, it comes back and forth from one to other producing unwanted reverberations and standing wave effects. The hole in the Black Hole microphones allows the acoustic wave to pass through rather than reflect back to the surface of the instrument resulting in a more accurate tone. Secondly – Black Hole microphones include an innovative shock-mount that allows theses mics to pivot around their center axis. This allows the user to easily adjust Black Hole series mics to desired position. With the exception of the BT-301 microphone, all other microphones in the series feature a unique innovation. This innovation is magnetically interchangeable capsules with various polar patterns and pad options. This makes it easy to experiment with capsule options without disturbing microphone placement. But more importantly, the Bat series microphones feature a specially engineered shape to achieve improved directivity of polar patterns. Patterns catch the full spectrum and do not cut off the ends comparing with other mics in the market. In this series, the capsule screens are made of two layers instead of the standard layers therefore sound travels through the microphone screen more freely reducing losses in frequency range. Vintage Series have also an innovative, built in, head-to-body shock-mount system. 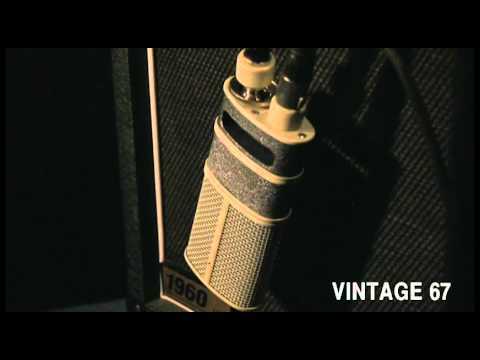 All Vintage Series microphones include a heavy-duty, adjustable, swivel mount for positioning. This eliminates the need for a mic clamp. Finally all capsules are internally shock-mounted to avoid diaphragm damage and to avoid unwanted handling noise. Important to note! – None of JZ Microphones heads are ball shaped because ball shapes can alter the sonic characteristics. We also pay a lot of attention to accessories we produce, like for example our universal pop filter. Its industrial design keeps the frequencies maximally unaffected. Compact shape and unique waveform of the mesh reduces unwanted reverberations and kills the pops and blows effectively like no other pop filter on the market. Also it has 45 cm long gooseneck for easy positioning and ergonomic attachment to attach pop filter to a microphone stand fast and easily. We believe that sound is an emotional stream connecting all of us as it inspires our greatest works. As the sound lives in its own world and can be very complicated, our objective is to reduce the physical limitations of delivering it to everyone who is recording, keeping its complexity and beauty unaltered, for everyone who love sound as much as we do.